Beebe Healthcare is proud to recognize Sheila Fosque of Beebe Nutritional Services as the February Living Our Values Every Day award recipient. 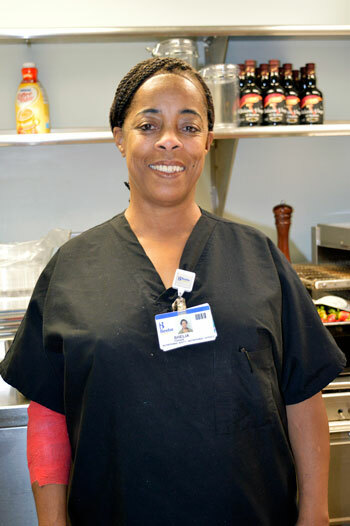 Sheila Fosque works in the cafeteria with the Nutritional Services team. During one shift, she was observed helping an older woman who was visibly upset. Sheila paid for a bottle of water for the woman, found her a seat, and comforted her. Sheila is recognized for living the Beebe Values of: treating each individual with respect and dignity; building trusting relationships with compassion and kindness; and acting with passion and love for others to make a difference. For her hard work and dedication to the Beebe values, Sheila was recognized with the February L.O.V.E. Letter Award!